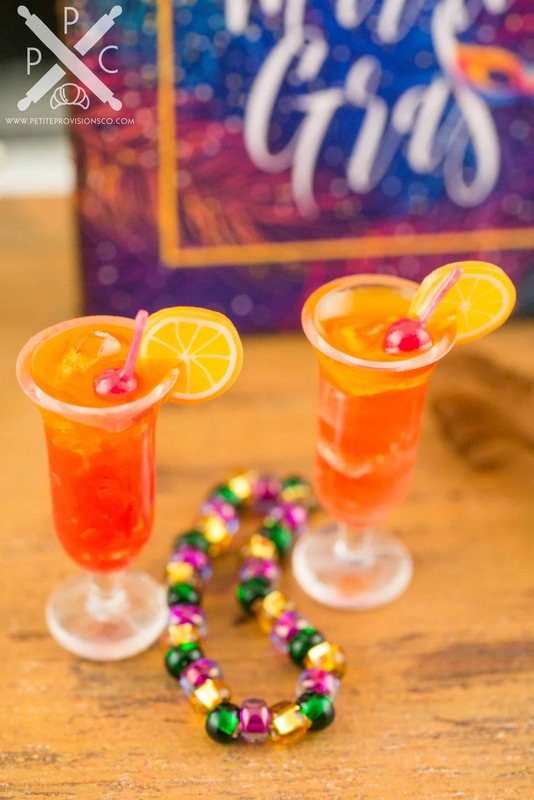 Dollhouse Miniature Mardi Gras Hurricane Cocktails for Two with Mardi Gras Beads - 1:12 Dollhouse Miniature - The Petite Provisions Co. 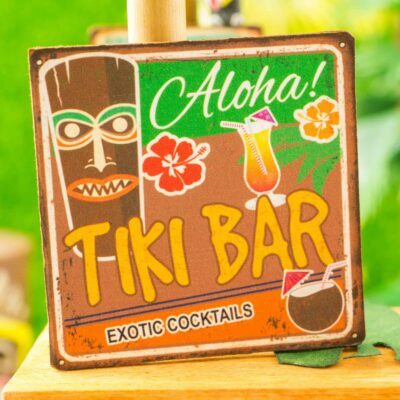 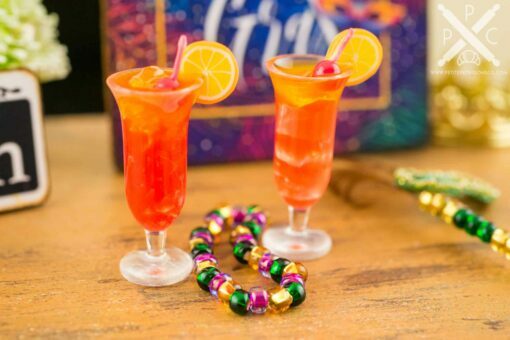 Celebrate Mardi Gras with a set of two adorable, refreshing Hurricane cocktails and a festive bead necklace! 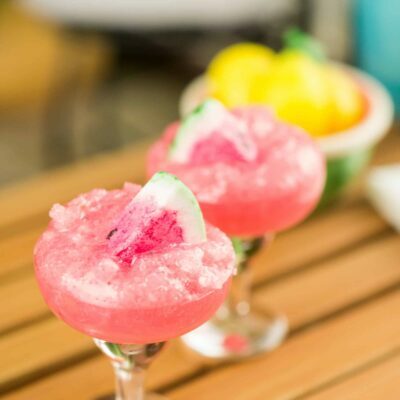 A favorite during Mardi Gras in New Orleans, the Hurricane is a cocktail made with rum, fruit juice and grenadine. 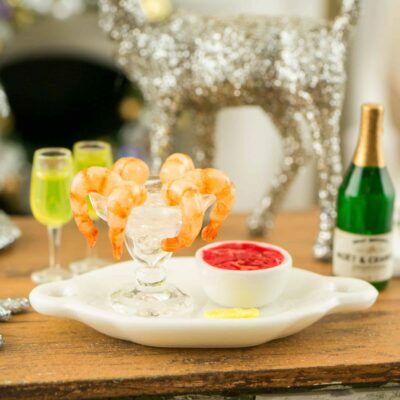 Whether you have a dollhouse or just love all things tiny, this wee cocktail set is too cute to resist! 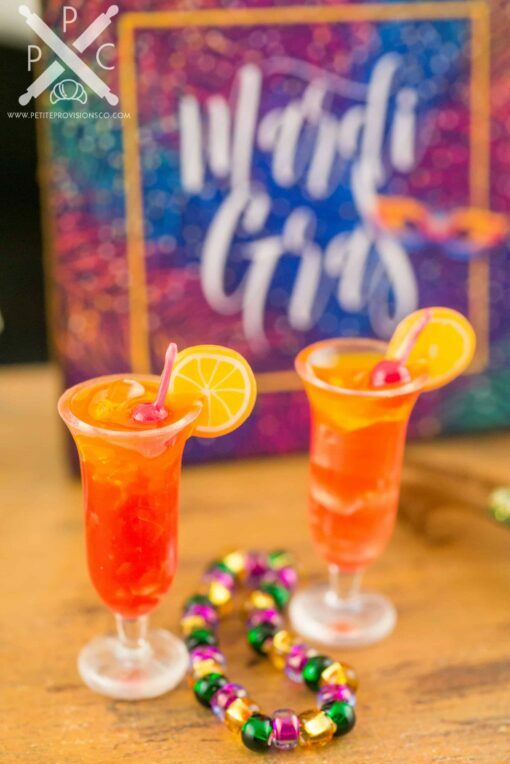 Two Hurricane cocktails garnished with ice, orange slices and cherries, and a Mardi Gras bead necklace featuring green, gold and purple beads. 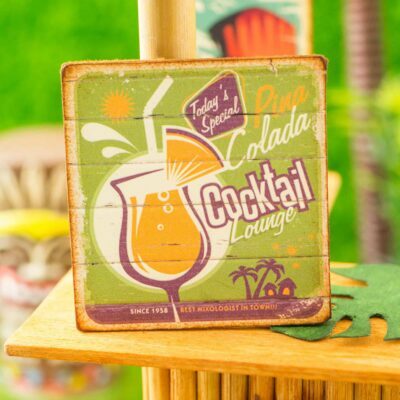 The Hurricane glass measures about 13/16″ tall.